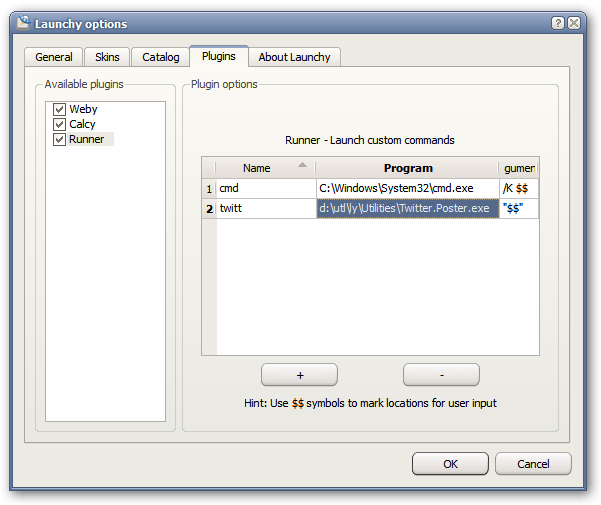 I was really surprised that quite a few people started using my… hack that let you post to Twitter using Launchy. Due to popular demand (hey, few people really asked for that) I decided to create an actual Launchy plugin that would let you do that. And so Ty was born. I know it’s not the best name in the world, but all Launchy plugins are required by law to end with y and Twitty was already taken, so I abbreviated it to simply Ty. The word ty means also ‘you’ in Polish. All the details, along with download link are here. Grab it if you want, and if you have any feedback (or feature request) post them to the issue tracker on the site. 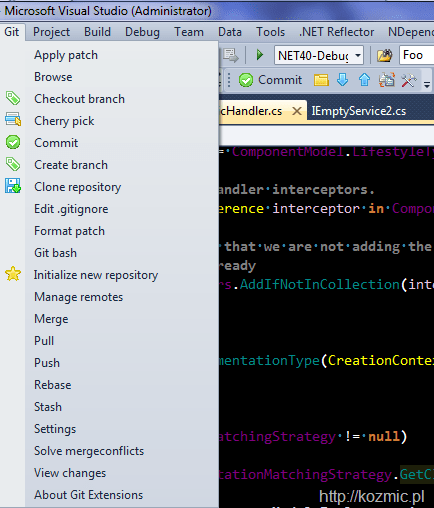 I spent few last days at work, trying to create an installer for an application I’ve been working on. There aren’t many free tools to help you with that task: Wix, NSIS or Inno Setup as far as I know. I thought Wix was a reasonable choice. I don’t think that anymore. Wix’s documentation ranges from poor to nonexistent. Many things are done in a very awkward way. And the best (and in many cases only) way to get any help, is the discussion group wix-users. I’ve had my share of wrestling with Wix. Here’s what I learned. You can define properties, call predefined properties, and change their values using [propertyName] syntax. This however does not work everywhere. If you for example want to pass some dynamic data to your Custom Action, you need another Custom Action, that will set the parameters for you before you can use them. Error	1	ICE68: Invalid custom action type for action 'SetCertsBatPath'. The (Not Installed) AND (NOT REMOVE) is needed, if you want to run the action only when program is being installed, and not when it’s being removed. 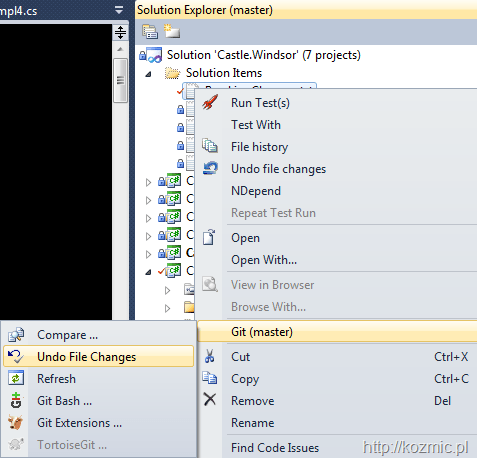 If you have Votive project as part of your Visual Studio Solution and you want to reference files in other projects, you can use relative paths. Also use Configuration environmental variable to include the right version of files (Release/Debug). In order for this to compile, you also need to add project reference to My.Actual.Project in your Wix project. Notice that there is no reference to the actual file containing the service. If you have many <File /> tags ServiceInstall will pick, and try to install as service the first one of them from the top. Alternatively you can explicitly designate a file by setting KeyPath attribute to yes. Notice I passed username of a user that should be used to run a service, and password with [SERVICE_PASSWORD] and [SERVICE_USERNAME] properties. Where did they come from? – I customized the UI, and added a step to the installer, where user types in the username and the password. 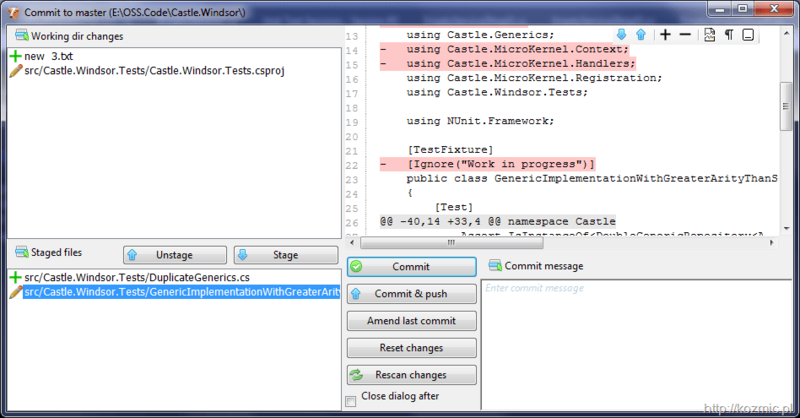 The Dialog tag, defines the look of the added window. It has some labels, and two textboxes, where user types username and password, that get saved to their respective properties. There is also a condition set on the Next button, which disables it, unless both fields are filled out. The series of Publish above that, defines transitions between windows (which window should be shown when you click Next/Back). Along with Subversion 1.5 and TortoiseSVN 1.5 a new version of AnkhSVN has been released some time ago. AnkhSVN v1.x used to suffer from many issues. It was instable, used far too much resources, and had many usability bugs, that repelled many people. For version 2.0 many parts of the tool have been rewritten from ground up, and now it’s a very descent tool that you should give second chance if you abandoned it after trying out previous version. Geee, now it even checks for updates, cool. Good stuff. If you passed on it before, you definitely should give it another try – really, new version is a whole other tool. Karl Seguin, has created, and made available for free and ebook, called “Foundation of Programming”. Don’t be fooled by its name however. If you’re thinking, “Foundation? I’m a senior level developer, what possibly could I learn from a foundation book?” and intend to pass by it, think again. The topic range spreads from Domain Driven Development, Persistence, Dependency Injection, Unit Testing, Mocking, Object/Relational Mapping to Memory Management, Exceptions and Proxies. Looks like a solid weekend read.